At My Pompano Dentist in Pompano Beach, Florida, Dr. Andrew Browne and Dr. Joseph Thayil provide a full spectrum of general dental services and procedures aimed at helping preserve your natural teeth, ensuring your oral health, and keeping you looking and feeling your best throughout your life. These services include oral exams and deep cleanings, metal-free crowns and bridges, mercury-free and tooth-colored fillings, single-visit root canals, modern extractions (including wisdom teeth), TMJ treatment, and surgical and nonsurgical gum treatment and periodontal disease management. Our experienced dental hygienists not only clean your teeth, but also teach you how to keep your teeth and gums healthy. A typical dental cleaning appointment includes tartar and plaque removal, teeth polishing, and home care instruction. After your cleaning, your dentist examines your teeth and gums and may prescribe fluoride treatments or mouth rinses to help you maintain your oral health. If needed, we provide oral sedation to alleviate any discomfort or anxiety. Our composite fillings for cavities are made from durable resins that are similar in color to natural teeth. Because the composite fillings are tooth-colored, they look more natural and are less noticeable compared to other types of fillings. Another benefit of tooth-colored fillings is that they are compatible with sealants, allowing your dentist to perform both procedures in a single sitting, preventing further tooth decay. There are other advantages to composite, tooth-colored fillings, most importantly the capability of bonding to tooth structure. Also, in many cases they can be repaired by the addition of more composite material. Tooth extraction is a routine, low-risk procedure commonly performed when a tooth is impacted, broken, cracked, or decayed beyond repair, or when teeth need to be removed prior to orthodontic procedures (such as wisdom teeth) and when a root canal, crown, or filling is not an option. Our dentists are adept at effectively treating gingivitis (gum inflammation) and periodontitis (gum disease), symptoms of which include red, swollen, or tender gums; gums that bleed; halitosis (persistent bad breath); receding gum line; or loose and shifting teeth. At My Pompano Dentist, both dental crowns and bridges are created to match the color, height, texture, and overall appearance of your teeth. Most crowns and bridges will last for life, eliminating the need to replace them unless they fall out or become loose. You may prolong the durability of your crowns and bridges by practicing good oral hygiene and visiting our office for regular check-ups and cleanings. Every tooth consists of three different layers: an outer layer of enamel, a layer of dentin in the middle, and an inner layer of pulp, which is where the live tissue and nerve of each tooth is located. Each tooth also has one or more passageways called root canals that contain pulp. If you have a large cavity or a fractured tooth, the pulp may be exposed and become contaminated and eventually infected. In these cases, a root canal is typically needed to remove the infected, dead tissue. The space is then disinfected and filled with special materials. At My Pompano Dentist, root canal treatments are performed with advanced techniques and materials, making them far more comfortable and faster. After root canal treatment is complete, Dr. Browne or Dr. Thayil will place a crown on your tooth to seal it. TMJ stands for temporomandibular joints, the joint that connects the lower and upper jaw. This is one of the most complex joints in the entire body, capable of forward and backward movement, rotation, and side-to-side movement. TMJ often refers to complications and problems with this joint. Some of the most common symptoms of TMJ problems are pain, limited movement of the lower jaw, clicking sounds, muscle spasms, and locking of the jaw. Some potential causes of the disease include genetics, hormones, low-level infections, autoimmune diseases, trauma, and clenching or grinding of the teeth. The dentists at My Pompano Dentist are experienced in evaluating and treating TMJ problems. Common treatments include night guards, bite guards, and bite adjustments. 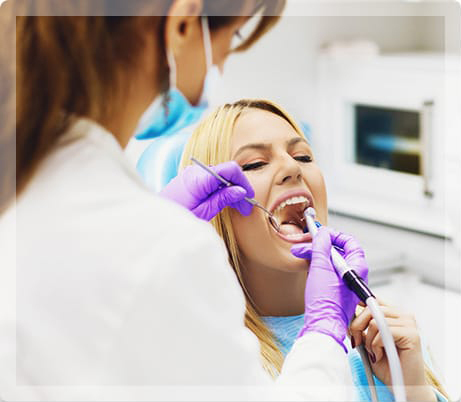 For all your general dentistry needs, the experienced professionals at My Pompano Dentist will be happy to evaluate your situation and offer the best treatment possible. To schedule an examination, call (954) 941-2412 or request an appointment online.